German Standards DIN 68765. It is also marked with the ISI mark. • High resistance to heat, steam and stains. • High strength to weight ratio. • Economical board sizes resulting in minimal wastage. • High degree of consistency in quality. 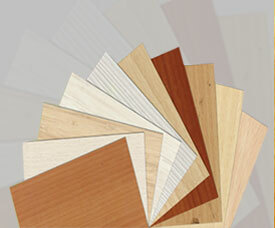 • Apart from this Novopan pre-laminated particle boards are fire retardant and termite resistant.